Quick Davit Universal Glue Kit for gluing davit pads to inflatable boats. 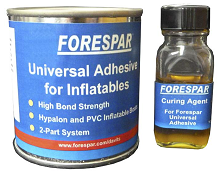 It is a high bond strength 2-part system for installation and repair on both Hypalon and PVC type inflatable materials. 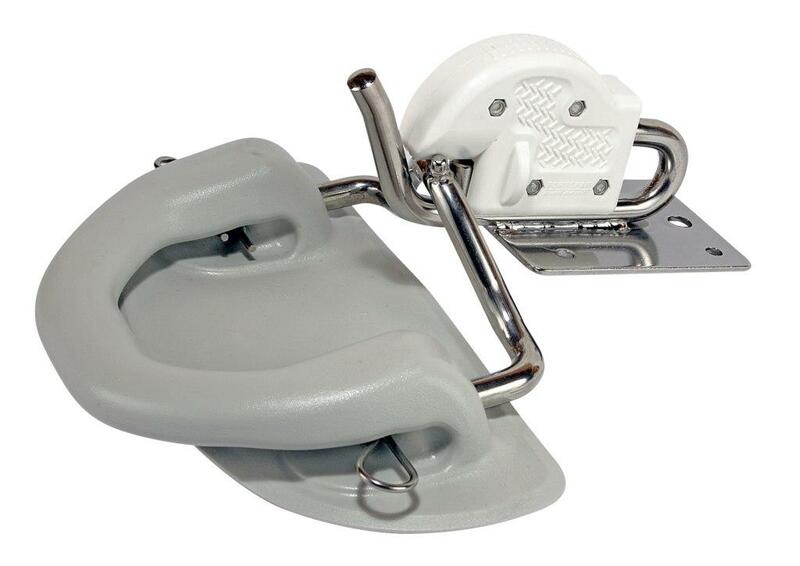 This kit is needed when using Quick Davit Replacement Pads & Yokes. See them here. Glue Kits include: 8 ounces of universal adhesive, adhesive activator, surface prep sandpaper, 2 brush applicators, 2 mixing cups, and complete step-by-step instructions. Cannot be shipped by air due to flammable content. For Adhesive only instructions or Full Installation instructions see above near pictures.